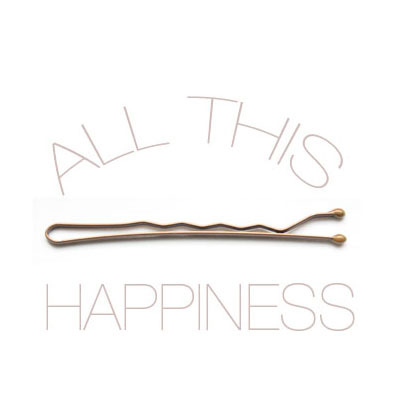 all this happiness: Oh gosh! I can't believe I haven't updated in almost a month! It hasn't seemed that long, honest! I've nothing to offer at the moment but this tree, which we realized is missing some lights, and promises of posts-to-come! I guess the excuse is that it's been cold and miserable, and working in retail and end-of-semester times mean things get a bit hectic, but I feel guilty since this is not the first of my oops! it's been to long posts! Ahh well, soon! Thank you everyone for reading, and for all your comments always! I really appreciate them, and it's so lovely to meet so many nice people! I think we all feel that way at the moment! PS I love your header! I'm forever losing pins, is that where they've all gone? Welcome back lady! I had *just* started wondering if maybe I'd missed a blog post where you mentioned going on a trip, and here you are! Gorgeous Christmas tree! I don't have enough room in my house for a proper one, so lucky you! What a lovely tree! And that ornament is so cute. Beautiful picture. Oh wow, your tree is gorgeous! As the daughter of a mother who owns a jewellery store, if you work retail you have every excuse in the world. You are swamped. Enjoy your time off!! I understand that things get crazy. It's nice to hear from you even if only in little snippits. Those photos of your tree are really lovely. Oh gosh, I remember working retail last year at Christmas. People are a nightmare from hell. You have a perfectly reasonable excuse! your christmas tree is so beautiful. I feel like singing christmas carols just looking at it. I've been checking, hoping you had posted! Even little posts are nice, it's good to stay in touch. Beautiful holiday images..I really like that anthro skirt you had on post before..it is new anthro or older? thanks ...keep it up. 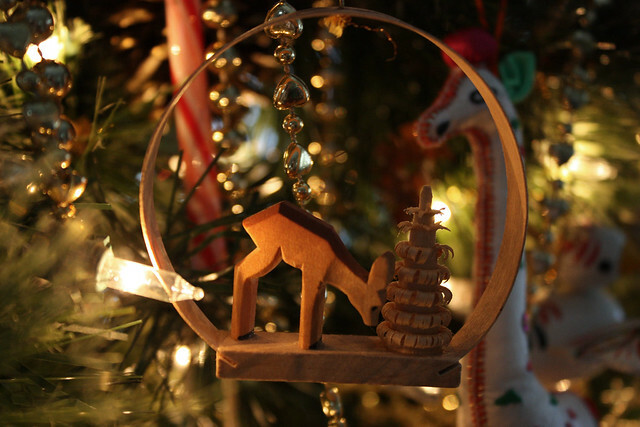 I love that reindeer ornament! It's been a while since I've had a tree up. your tree is quite pretty! lovely blog you have here :) cool tree! hope you had a fab christmas! 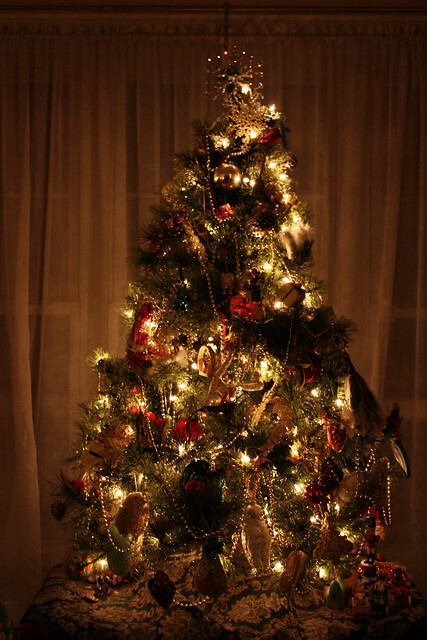 Beautiful tree and ornaments. Happy Holidays, Kater!